I like the information on the website; is there also text on the DVDs? In what ways can I use these photographs? Does the Pictorial Library of Bible Lands include photographs of places not mentioned in the Bible? How are your photos unique? Why should I purchase these photos when I can find free ones on Google? What is the difference between the Pictorial Library of Bible Lands and the Photo Companion to the Bible? Do I need to purchase the eSellerate Download Service (eDP)? How can I get a photo collection quickly? What if I don’t have a DVD drive? Do you have a catalog of all of your products? Can I upgrade from the previous edition? You need a computer that can view images. The jpg images may be viewed in any image viewer. The PowerPoint program (or equivalent) is necessary in order to view the PowerPoint presentations and annotations. I like the information on the website; is there also explanatory text on the DVDs? Yes. All of our photo collections include much more information than is available on the website. 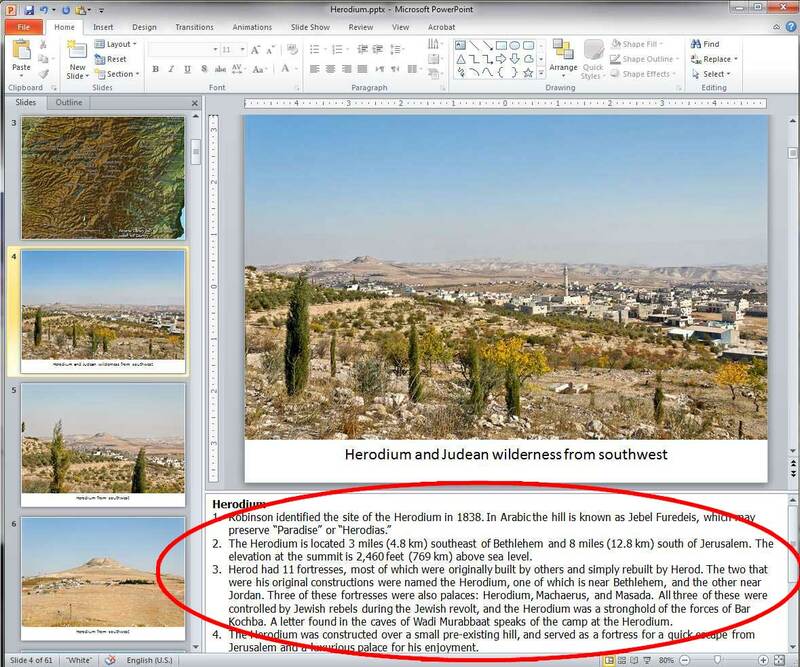 The PowerPoint presentations have extensive annotations about the sites and photographs. The amount of text in the Pictorial Library of Bible Lands is equivalent to a 2,000-page book. For more detail and samples of the explanatory text in the Pictorial Library, see this page. There are many ways that you can use the photographs for study, teaching, and for personal enjoyment. Since the Pictorial Library of Bible Lands provides thousands of images in jpg format, they are adjusted and incorporated into nearly any type of project. The images are perfect for teaching with PowerPoint, using as backgrounds for Scripture texts or worship songs. Instructors may print the photos within their course notes. While other programs restrict and limit options, our library is designed to be a versatile tool to be used in as many ways as possible. Yes. We have created this collection to be a library of photographs, so that whatever your particular interest or need, you will be able to find relevant images. While our focus is on the ancient world, we include some photographs of other sites of historic and modern significance as well. For example, Tel Arad is apparently never mentioned in the Bible (assuming, as we do, that the Arad of the book of Numbers is another site). 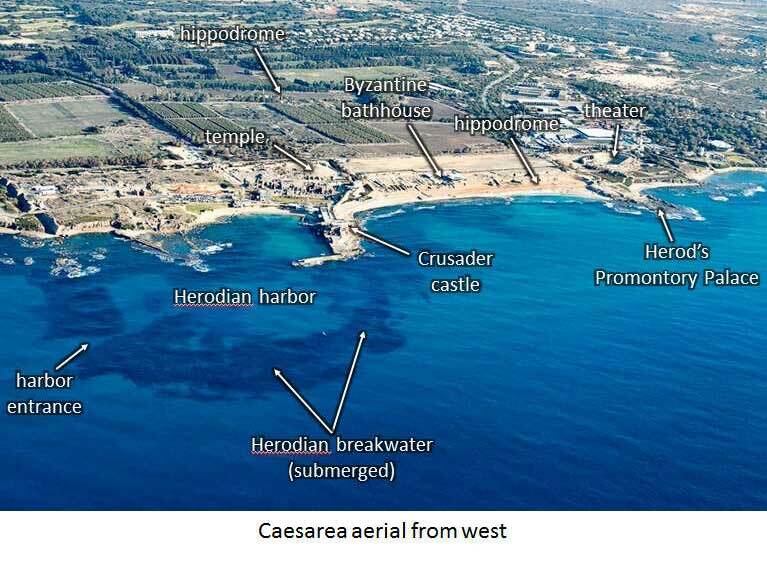 But there is much value in understanding both the Early Bronze city and the Iron Age fortress, including the syncretistic temple used by the Judahites stationed there. We’ve written a page to answer this question. The availability of images on the internet today is much greater than it was in 2000 when the first edition of the Pictorial Library of Bible Lands was released. Today one can search Google Images, Flickr, and similar sources for thousands of free images. What does the Pictorial Library provide that these sources do not? First, we provide comprehensive collections that are well-organized. Google can provide you with a variety of images, but sorting through them all to find what you want can be daunting. Our collections were designed so that you can find lots of images related to the Bible and ancient history quickly and easily. Second, our images are accurately identified and described. We recently read a major archaeology textbook that made an embarrassing identification error of a photograph based on an internet source. Third, our images are all in high-resolution. Fourth, many of our images have descriptive labels which help you to understand what you’re looking at. Fifth, with the BiblePlaces.com collections, you do not need to identify copyright holders, determine what type of usage is allowed, and write to request permission. Our image libraries provide thousands of high-quality, accurately identified photographs with generous permissions at a reasonable price. The Pictorial Library is consistently praised as providing outstanding value. The new Photo Companion to the Bible provides the images organized by biblical chapter and verse, greatly reducing the time you need to spend searching. The Pictorial Library of Bible Lands has been our most popular collection for more than 18 years now. It provides modern-day photographs organized by country, region, and location. The Photo Companion to the Bible is our newest series in which photographs are organized by biblical book, chapter, and verse. There is naturally some overlap between the two collections, but each has much that is unique. For example, the Pictorial Library provides dozens of images of Capernaum in a Capernaum folder and PowerPoint. The Photo Companion has only a few images of Capernaum each time the site is mentioned in the biblical text. To give another example, the Photo Companion includes not only modern-day images, but also historic photos and museum artifacts, all intended to illustrate a biblical verse. The Photo Companion also includes many new images not available when the Pictorial Library was released. To see the difference, download some of our free samples. From the Photo Companion, download Ruth 2:1-4 or Esther 4 or Matthew 4 or John 2 or Acts 18. From the Pictorial Library, download our Galilee Sampler or Caesarea. Sales tax is charged where required by law. Purchases by organizations that are tax-exempt will receive a sales-tax refund upon request. Customers outside the US may be charged VAT at the time of purchase or upon delivery. Some customers in the UK have informed us that they were assessed a Royal Mail International handling fee of £8. You may also request to receive your purchase by download instead of a physical copy. In this case, we will refund your shipping charges. Since BiblePlaces.com provides free, lifetime updates for your purchase, you do not need to purchase this service. For the Photo Companion to the Bible, you will find the link to the free updates on the notes section of the title slide of each PowerPoint. At this link, we will provide the latest edition of the PowerPoint files. Purchasers of the Satellite Bible Atlas will receive a link with their atlas to access the digital maps and photos. You may purchase eDP if you would like additional peace of mind. All of our photo collections are now available by immediate download upon purchase. For the shipped discs, expedited shipping is available in the US, and orders take approximately three to four days to arrive, depending on how far you are from California. International orders cost more and take longer, though international postal practices make estimating difficult. We offer all of our photo collections by immediate download. Many customers prefer to receive both the download files as well as the DVDs. If you prefer to receive download only without DVDs, select that option in the shopping cart. For the larger collections (19 volumes plus), we can provide a thumbdrive with all of the files at no extra charge. Please email us upon placing your order to request this option and allow us an extra 1-2 days for shipping. Yes. You may download our listing here (pdf). Can I upgrade from the previous edition of the Pictorial Library of Bible Lands? Yes, and on this page we explain why upgrading is recommended for previous purchasers. We also have a separate FAQ concerning upgrades.